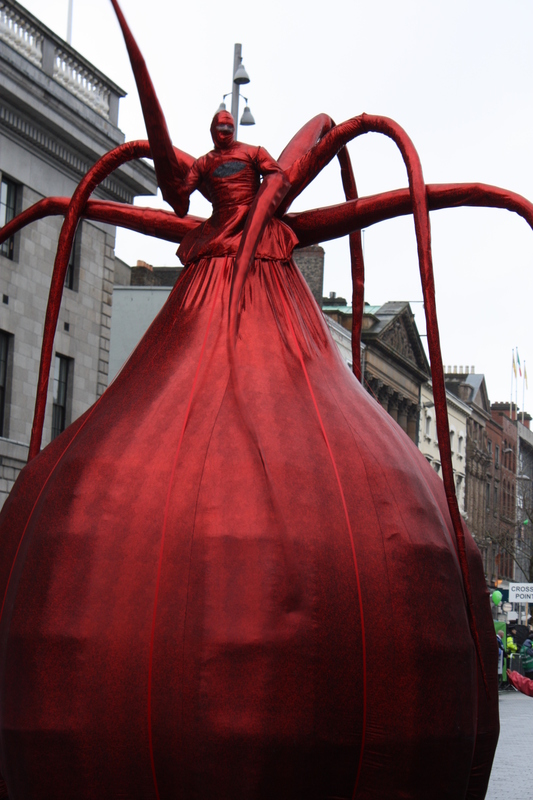 St. Patrick’s Parade and St. Patrick’s Festival , Ireland’s National Holiday celebration, will take place from 14th to 17th March this year, celebrating the very best of Irish and international talent. 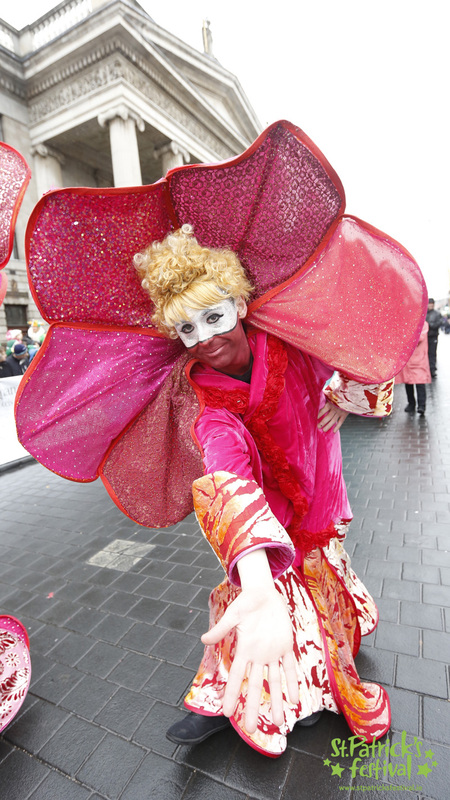 This year LGBT Community group are taking part in this year’s St. Patrick’s Day Parade. 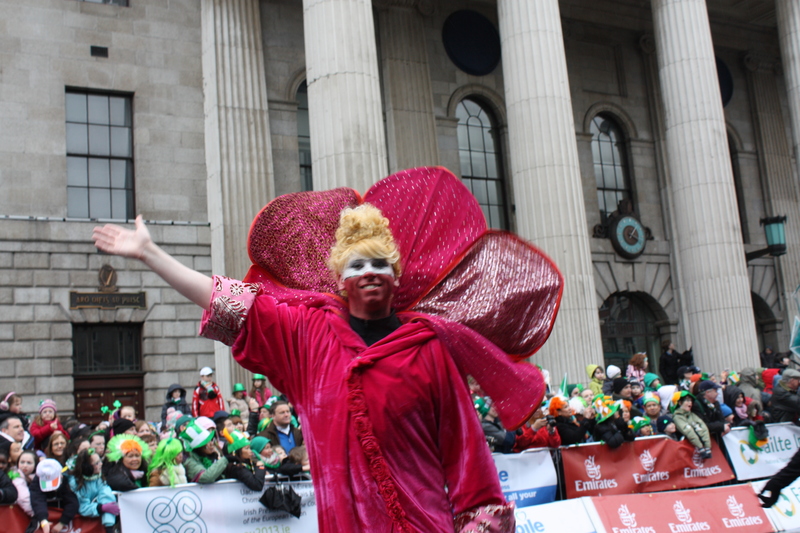 Late last year St. Patrick’s Day festival asked the LGBT groups in Dublin Ireland to be part of the St. Patrick’s Day Parade again in 2014 and this call-out went out. Karen Walsh said ‘After the hugely successful 2013, City Fusion (St Patrick Day Parade) was delighted that members of the LGBT community join them again for the project in 2014. It’s important for us to include new groups in the pageant, to foster new partnerships and engage with the LGBT community in a wider way after the great work from last year’s groups Dublin Pride and BelongTo in 2013’. ‘This again is a great way for the LGBT community here in Ireland to step out and show the world how inclusive Ireland is, as we join force with City Fusion (St. Patrick’s Day Parade) and other community groups and artists’ said Eddie McGuinness co-ordinator of LGBT Community Group. This year’s St. Patrick’s Day Parade theme, ‘Let’s Make History’, draws on the ‘Past’ and is the first step on this exciting, creative journey. In 2015 the Festival will explore the ‘Present’, and in 2016, the ‘Future’, when the Festival will pose the question, ‘who do we aspire to be in the next 100 years’? For 2014, Ireland’s leading pageant companies will bring the theme to life in their own inimitable style, with music. The heart of St. Patrick’s Day Parade pageant is the ‘Master of Time’, directing the world from the top of his enormous spinning wheel of fortune. He is himself is part superhuman, animal, ordinary man and king, ruling over the transformation of humanity through time and space. The pageant will unfold from past to future, encountering characters either historical or fictional, famous or forgotten – all celebrating in a frantic trance, the day of carnival where no rules of power apply anymore. City Fusion Groups: LGBT Community Group, Lithunian Community in Ireland, Filipino Cultural Org of Ireland, MENNI, DCU Japanese, and Brighter Futures Groups: Rialto Youth Group, Academy of Dance, Sphere 17 & Colaiste Dhulaigh, Polish Weekend School, Robert Emmet Community Development Project. Our participation in St. Patrick’s Day Parade gives us a chance to participate and unite with other community groups within Ireland, and working alongside them gives us an opportunity to see just how many other cultures and ethnic minorities there are around the country said ‘Eddie McGuinness. Meggan Lyons said ‘So my aunty emailed me asking if I would be interested in being part of the St. Patrick’s Day parade with the LGBT community this year. Of course I was more than happy to oblige. Not going to lie I was nervous because I had no clue what I signed up to, however I am so glad I said yes, because the hours we spent in rehearsal was brilliant! I instantly clicked with all the welcoming members and other community groups and we laughed and had fun creating our set piece for St. Patrick’s Day Parade. I find myself having a genuine interest in all aspects of this, even if I am slightly rusty in my choreography! I now look forward to St. Patrick’s Parade doing something different, something enjoyable and something I will remember for a long long time. Grace Priest said ‘I was given the opportunity to take part in the parade with the LGBT community through my internship from the UK. I grasped this opportunity with both hands and I am excited to take part. Since rehearsals began it has been nice to see so many different groups working together to produce something amazing. I am pleased to be taking part in the parade with the LGBT community as my father is now a legal transgender female. Through personal experience I know how hard it can be to accept so it is nice to see that here in Dublin in the LGBT community being accepted and taking part in the parade’. Elizabeth Kavanagh also said ‘As an active member of the LGBT community, it is an honour to represent them in the St. Patrick’s Day 2014 I have been a part of the Stand Up against homophobic Bullying campaign and the LGBT OK poster campaign, as well as being a member of BelongTo Youth Service and collaborating with GCN’s Youth Edition and featuring on the cover of the magazine, however to combine my membership of the LGBT community with my Irish heritage is really something I’m proud of. Also St. Patrick’s Day is the day before my birthday & this year I’ll be 21, so it is even more exciting!